Flying Wild Hog has confirmed that Hard Reset's upcoming expansion content will be free for those who already purchased the game. 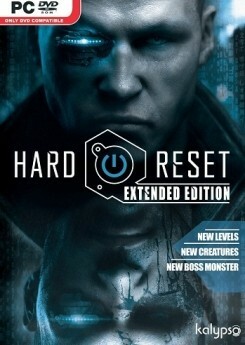 The company's release plans aren't entirely clear, but from what we understand, the title received a retail launch last week under the name "Hard Reset: Extended Edition" that includes the extra content (available via Amazon, though it has a 1-3 week ship time). This version will replace the original copy on Steam sometime in late April or early May, presumably bumping the price from $19.99 to last year's launch rate of $29.99. When that happens, everyone with the original copy will be upgraded free of charge. We're speculating that the Extended Edition will replace the first Steam version, but it seems logical enough if previous customers are receiving the content. Hard Reset received a mixed reception last September. Some reviewers praised the game's throwback to old school first-person shooters. Others hated it. However, both sides largely agreed that the game was too short and had too few enemies. The Extended Edition will address those complaints with new weapons, enemies (including a boss), five more campaign levels and two new survival mode levels. Despite the divide between reviewers, you're almost guaranteed to have a good time if you know what you're getting into: a twitchy corridor shooter that strongly emphasizes circle-strafing and quick reflexes, not cover mechanics, sandbox tactics or storytelling. Overall, the game feels very polished for what it is and it's currently available for about $5 alongside four other games via Indie Royale's latest promo.